Check out this Ram Power Wagon! Brand NEW 35" Falken Wildpeak MT Tires and Ready Lift Leveling Kit! This Power Wagon comes with a Clean CarFax, is in Excellent Condition Inside and Out and is Powered by the Legendary 6.4L Hemi V8! 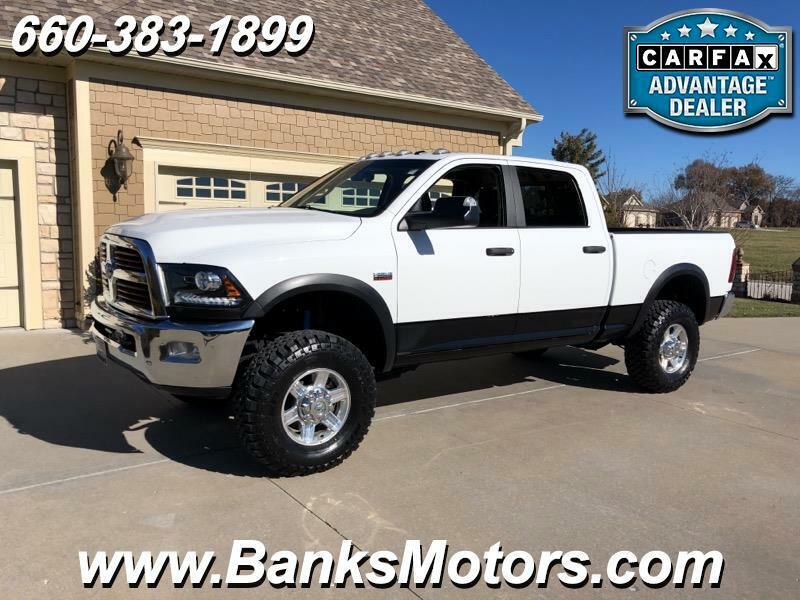 A few Impressive Features that come with this Heavy Duty Ram are......Backup Camera, Bluetooth, Power Seat, Power Mirrors, Integrated Trailer Brake, Sway Bar Controller, Park Assist, Hill Descent, 115 V AC, USB, Tow Package, Winch, Cab Lights, Spray In Bedliner and so much more! This Is One Awesome Truck! We are located in Clinton, MO, less than an hour southeast of Kansas City! No Games, No Gimmicks, Just The Right Way Of Doing Business!